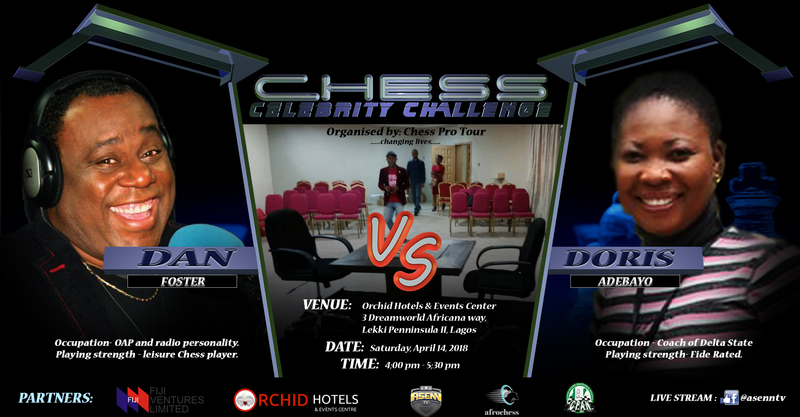 Challenge is an exhibition chess match aim at promoting televised chess. 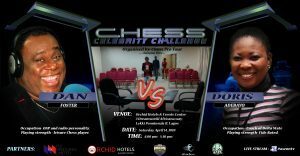 it comprises of a series of 90 minutes event and will be a challenge between at least one known celebrity challenging a top rated male or female players or another celebrity as the case may be. 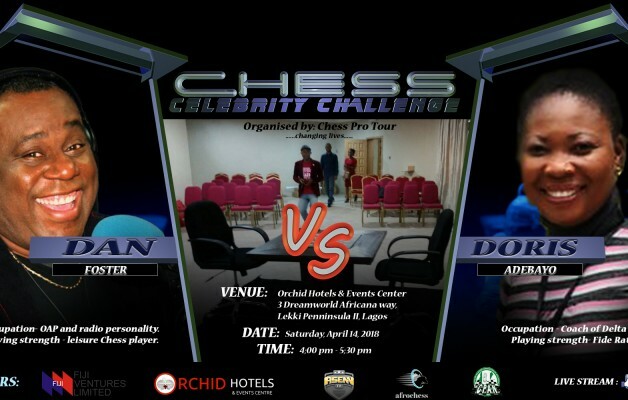 Renowned OAP (On Air Personality), Dan Foster challenges Doris Adebayo, female coach of Delta state and wife of IM Adebayo Adegboyaga, former national champion and national player. she is a FIDE rated player. Event shall be streamed live on @asenntv on facebook. Please invite friends and associates.